Final touches of an artwork. 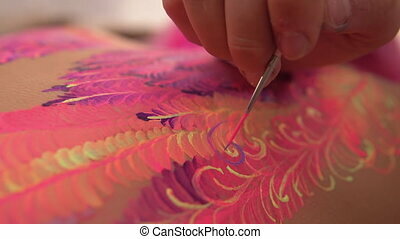 Artist fulfils lines with a bright paint. 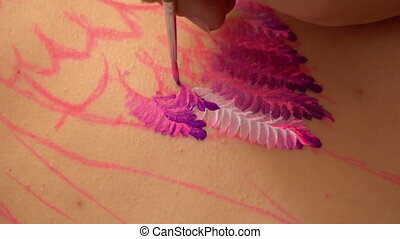 combining colors on a womans back. Artist fulfils lines with a bright paint. 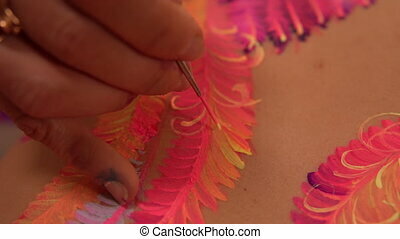 Combining colors on a womans back. Paint practising and combining colors. 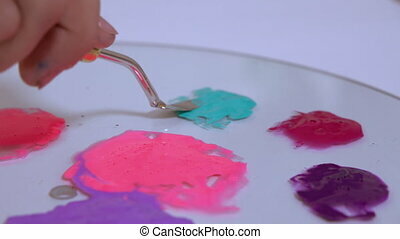 An artist shows how to mix different colors. 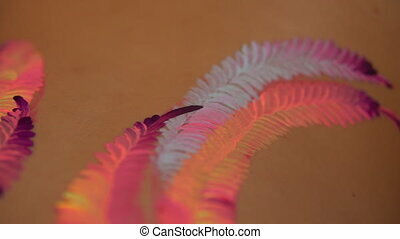 Bodyart design in the unique technique. Lots of colors used in drawing process. 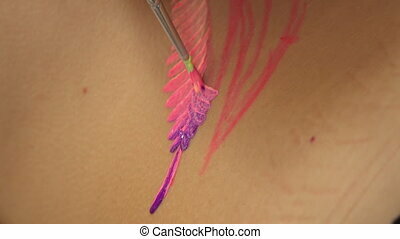 Purple and pink colored art design on the skin. Work in old ukrainian technique of petrykivka. Colorful smears on womans skin. Detailed picture on the back. 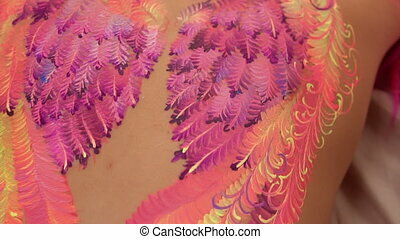 Colorful pattern on a human skin. New art design in traditional style.